A six week voyage of exploration, in the 1940s and with twenty-one locations to stop at. 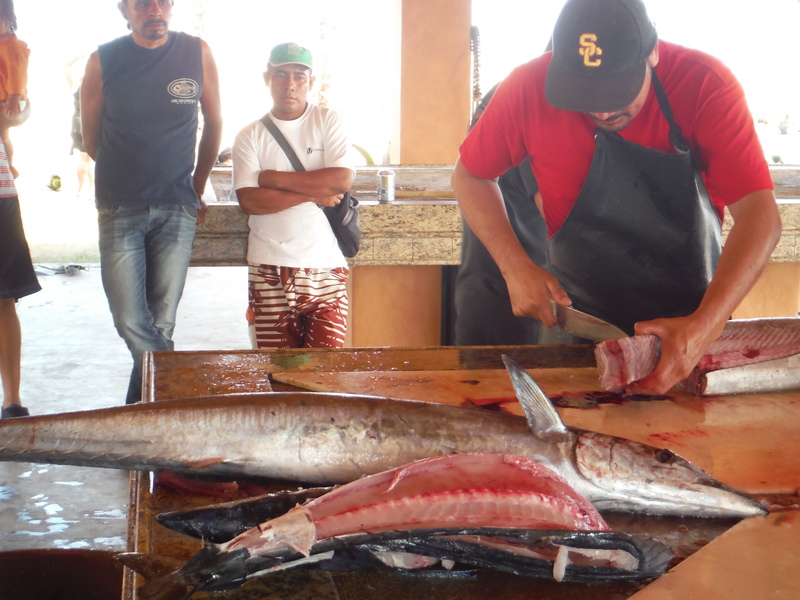 San Jose de Cabo – This past weekend was the San Jose de Cabo – Wahoo locals fishing tournament. We stopped briefly to take a few pictures then headed over to a locals restaurant for (me – chicken salad known as Azteca Salad and her – Steak Ranchera) a welcome break from fish. Paz – almost there. Today, we (rent a car) and restock up at Costco, Home Depot and Walmart. Joining us are our friends from S/V Millie. 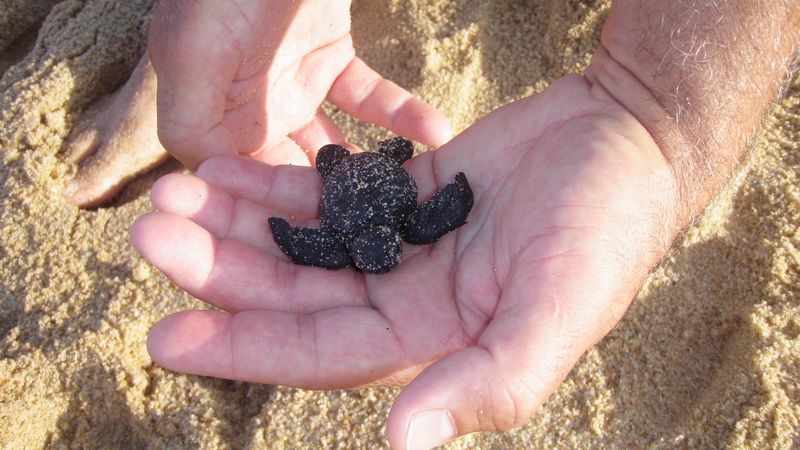 The climate in Pescadero is one of the finest of all of Baja California Sur. It is heavily influenced by the Pacific Ocean which moderates the temperatures year round. In the summer, the ocean breezes keep the heat at manageable levels. Winter, generally the months of March through May, is marked by warm days and cooler temperatures at night. Pescadero is much like an oasis in the desert. The pueblo (village) is bordered by the Sierra de la Laguna mountains to the East and the Pacific Ocean to the West. In the huerta area of Pescadero (the farm land area,) palm-lined roads and farms co-exist with low-density private residences. A common sight in the huerta are the chili and basil fields. Most of these crops are grown for exportation and end up in specialty markets and gourmet grocery stores in the United States. Fortunately, some of the produce finds its way into the road-side produce stands. Commercial farming in Pescadero flourishes because of an ample supply of underground water funneled down from the mountains. Air from the Pacific Ocean is pushed up the Sierra de la Laguna mountain range and is met with hotter air from the Gulf of California. This results in frequent mountain rain storms that persist through the summer and fall. Consequently, these storms release great deal of rainfall that fills underground rivers and aquifers throughout the Todos Santos and Pescadero basin. It is a common held belief among many of the locals that there is more water in Pescadero and Todos Santos than Cabo San Lucas. In fact, a realtor from a high end developer told me that the water in Cabo is piped from Todos Santos to San Jose, before it once again pipes its way down to Cabo. Most homes have cisterns of at least 5k liters of water or about two weeks of water when the power goes and the pumping stops. Higher American or Canadian spec homes double that amount. Surf breaks punctuate the length of the peninsula’s Pacific coast. Two of the best are located in Pescadero. Los Cerritos and San Pedrito. Both beaches have right breaks. Los Cerritos is one of the best for beginner and intermediate surfers. San Pedrito is considered an advanced surfer’s break because of its rocky bottom and strong currents. The village proper has a few accommodations, restaurants and bars , several grocery stores and gas station. The huerta or beach area has one hotel plus a scattering of bungalows and casitas that can be rented by the night. There is a surf camp in km64 which contains accommodation (casitas) and a pool. This is perfect if you are just stopping off. Los Cerritos, while it is known as a good beach for beginners, the rip towards the rock has killed a few people. Each March, the puebla hosts the Chili and Strawberry Festival, celebrating and promoting the area’s agriculture. Organic produce and plants are offered for sale, food is available to sample, and agricultural products and tools are on display from vendors. The festival includes a dance, crowning of a queen, and a cabalgante – a procession of horse and riders from Todos Santos to the festival in Pescadero.